Companies of all types and individuals now conduct business and live significant parts of their lives online. 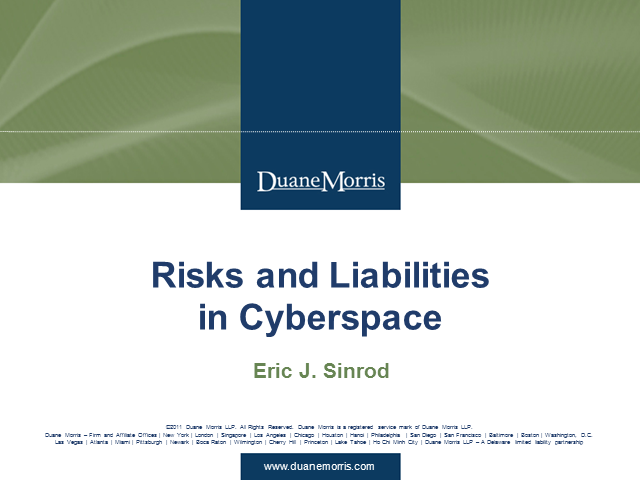 While the Internet provides tremendous commercial and personal opportunities, it also poses a number of risks and can create significant liabilities. Learn about these risks and liabilities and how to stay safe online. This session will cover a variety of important Internet issues, including intellectual property, privacy, security, marketing, advertising, Cybercrime, jurisdiction, electronic discovery, and winning disputes.